- planning a stop before the case could be financially detrimental. 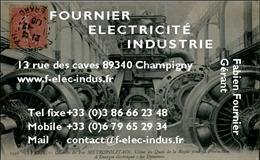 Mr Fournier is at your disposal for any questions about your needs . The combination of this discipline with other diagnostic tools allows our customers to benefit of complete monitoring of their machines and also can help pushing further the quality of service in case of ad hoc troubleshooting procedure.